It was tough work, but we’ve tallied the results and determined our 2018 Summer Design Contest winners! Coming up with a sock design is no easy task, so in our books everyone who enters is a winner. We’ll also have some official winners and official prizes. 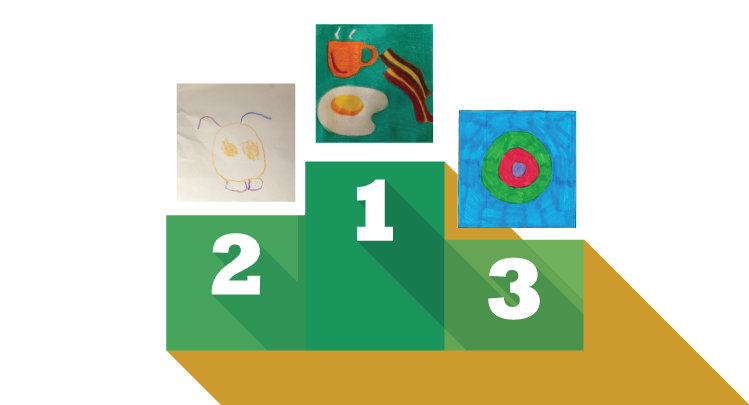 Our team of judges, and our amazing fans (that’s you) will choose the winning designs. $1,000 cash, their design will be manufactured on real socks, and 15 pairs of awesome SOCKBOX.ca socks from our shop! $250 cash & 10 pairs of socks. And the prestige that comes with being a winner. $100 cash & 5 pairs of socks. Plus bragging rights. We’ve got some great judges on our panel in addition to the team at sockbox.ca who will help select the winning entries. Ryan aka Mr. Fab is the personality behind the multi-award winning blog, immrfabulous.com. In addition to his @immrfabulous social accounts, he can also be seen regularly on Canada’s top networks as a fashion and lifestyle expert. Dave is an award winning photographer travelling the globe to snap candid shots of elite athletes. Sochi, Rio & PyeongChang Olympics are just a few of his renowned adventures. Follow his adventures @davehollandpics on Instagram. The SOCKBOX.ca Annual Sock Design Contest is your chance to let us know what you want on our socks, and maybe win the opportunity to see it produced. We’re hoping to see thousands of amazing designs and interact with all of you in a way we wouldn’t otherwise. That said, we do sometimes take holiday time, so we created this FAQ to answer some of your questions during this busy time. If you don’t find your question here, please leave a comment and we’ll add it! Any person, anywhere in the world can enter (except where prohibited by law)! If you are under 13, a parent or legal guardian must submit your entry. This contest is international and open to all ages! How many colours are allowed per design? We prefer a maximum of 6 colours per design. If a sock with more than 6 colours makes it through the voting process to win, we’ll need to adjust the design for production. Judges will be using this preference during the contest because our socks are best created with no more than 6 colours. Black and white are counted as colours. 1st Place: Cash prize of $1,000, and 15 pairs of awesome SOCKBOX.ca socks from our shop, and your design will be manufactured on real socks. 2nd Place: Cash prize of $250 and 10 pairs of socks. 3rd Place: Cash prize of $100 and 5 pairs of socks. Winners will be announced 9/5/18. SOCKBOX.ca judges will select the top 20 designs from all eligible entries. We will post these chosen 20 on our site for our fans to vote from 8/27/18 – 9/4/18 on the top 10 designs. Judges will select the final 3 winners from the top 10. Winners will be announced on our site. No. If we become aware of a finalist trading goods or services for votes in this contest, they will be disqualified. Promoting your design and asking for votes are both allowed. Details can be found here: sockbox.ca/contests/design-contest/#official_rules. No. Contest entries will not be sent back to you, but we don’t own the rights to submitted contest entry designs: you do. Once winners are chosen (or we decide we want to produce another entry), we contact each artist to give them a contract and payment before moving forward. We reserve the right to use your designs for promotional purposes promoting our contest, without compensation. Why are you holding this contest? More importantly, why not? We try a lot of things for fun! Since the first day we’ve wanted to create a sense of community and engagement. This contest is an opportunity for our fans to participate in the process, and an opportunity for us to see directly from our fans, what they think would be cool on a sock. It’s best to avoid complex details or gradients as these are difficult to translate onto a sock. You can design any style you want (crew, knee high, etc. ), though that might get changed during production. Yes. You can submit up to 5 designs and the finalists are chosen based on merit, so it’s possible that one artist could end up with 2 designs in the voting period. 1. HOW TO ENTER: NO PURCHASE OR INTERNET ACCESS NECESSARY. A PURCHASE WILL NOT INCREASE YOUR CHANCES OF WINNING. VOID WHERE PROHIBITED BY LAW. The SOCKBOX.ca Sock Design Contest (“Contest”) begins 9:00 a.m. Mountain Time (MT) on July 5, 2018 and ends 5:00 p.m. MT on September 4, 2018. All entries must be completed and received by SOCKBOX.ca by August 25, 2018 at 5:00 p.m. MT. There are two (2) ways to enter: online at https://sockbox.ca/designcontestentry/, or by mail. No other method of entry will be accepted. Entries for children under age 13 must be submitted by a parent, teacher, or legal guardian. Online Method: To enter online during the entry period, go to https://sockbox.ca/designcontestentry/, download entry form, and start designing on the template for crew socks provided. Provide your design title, name, telephone number, and email address (for entrants under 13, your parent/legal guardian’s telephone number and email address), upload the completed entry form, and click submit. Entrants must complete all data requested on the online entry form. 612 – 500 Country Hills Blvd NE, Suite 110, Calgary, Alberta T3K 5K3. Limit five (5) entries per person. The design submitted must be the entrant’s original creation and shall not be copied or duplicated from previously published art. The design must fill the template crew sock provided or available online. Incomplete entries are void. All entries submitted become the sole property of SOCKBOX.ca and will not be acknowledged or returned, but SOCKBOX.ca will not use a design without the designer’s permission, and winning designers will be paid for any designs put into production. SOCKBOX.ca reserves the right to alter any winning design if necessary. SOCKBOX.ca assumes no responsibility for damaged, stolen, lost, late, misdirected, illegible or mutilated entries or designs for any computer, online, telephone, cable, network, electronic or Internet hardware or software malfunctions, failures, connections, availability, garbled or jumbled transmissions, service provider, Internet, web site, or other accessibility or availability issues, traffic congestion, or unauthorized human intervention, or any technical malfunctions that may occur. Entrants shall be the authorized account holder of the e-mail address submitted at the time of entry. “Authorized account holder” is defined as the natural person who is assigned to an e-mail address by an Internet access provider, online service provider, or other organization (e.g., business, educational institution, etc.) that is responsible for assigning e-mail addresses for the domain name associated with the submitted e-mail address. 2. ELIGIBILITY: This Contest is open to entrants of all ages, but if an entrant is under age 13, a parent, teacher, or legal guardian must enter the design for the child. Employees of SOCKBOX.ca, their subsidiaries, affiliates, prize suppliers, and advertising and promotional agencies of SOCKBOX.ca, and their immediate families (spouse, parents, children, siblings and their spouses) and individuals living in the same household as such employees are ineligible. This Contest is governed by the laws of the Canada and is subject to all applicable federal, provincial, and local laws and regulations. VOID WHERE PROHIBITED BY LAW. 3. JUDGING: There will be three (3) rounds of judging, considering all of the following criteria in each round to determine winners: (1) simplicity of design (designs that are too complicated or detailed don’t work well on socks); (2) use of a maximum of six colours; (3) use of colours that are flat and solids, NO shading, blending or halftones; (4) use of pattern; (5) use of imagery, themes, patterns, or designs that are different from our current offering; and (6) originality. All of these criteria are preferences judges will use during all rounds of judging. Rounds of judging: First, between August 25 – August 26, 2018, a panel of SOCKBOX.ca judges will select twenty (20) semi-finalists from among all eligible entries received between July 5 at 9:00 a.m. MT and August 25, 2018 at 5:00 p.m. MT. On August 26, 2018, the judges will upload to SOCKBOX.ca contest website those top twenty (20) designs. Between August 27, 2018 at 9:00 a.m. MT and September 4, 2018 at 5:00 p.m. MT, SOCKBOX.ca fans, applying the same six judging criteria, will then help determine by vote the top ten (10) finalists from among the twenty semi-finalists. On or about 10:00 a.m. Mountain Time on September 5, 2018, a panel of SOCKBOX.ca judges will select the three final winners from among the ten (10) finalists and announce the winner on the SOCKBOX.ca contest website. By participating, entrants agree to be bound by the Official Rules and the decisions of the judges, which shall be final and binding in all respects. Odds of winning depend on the total number of eligible entries received. All prizes will be awarded. Limit one prize per person, family or household. Winner (or in the case of children under 13, his or her parent, teacher, or legal guardian) will be notified via email, and/or telephone. 4. PRIZES: There will be one (1) winner selected and one (1) prize granted. One First Place Winner will receive one thousand dollars ($1000) cash, plus fifteen (15) pairs of socks, plus SOCKBOX.ca will produce the winning design. One Second Place Winner will receive two hundred fifty dollars ($250) cash, plus ten (10) pairs of socks. One Third Place Winner will receive one hundred dollars ($100) cash, plus five (5) pairs of socks. Socks cannot be exchanged for cash, and prizes cannot be used in conjunction with any other promotion. SOCKBOX.ca reserves the right to substitute a prize of equal or greater value in the event the offered prize is unavailable. No substitution or transfer of prize permitted except as provided herein. Prizes paid in Canadian dollars. 5. GENERAL CONDITIONS: All federal, provincial, and local taxes, fees and surcharges on prize packages are the sole responsibility of the prize winners. Prize winner(s) (or in the case of minors, their parent or legal guardian) will be required to execute a contract for the winning designs and an Affidavit of Eligibility/Release of Liability/Prize Acceptance Form. Return of any prize and/or prize notification as undeliverable or failure of any entrant to comply with any Official Rules will result in disqualification and selection of an alternate winner. Winners or their parent or legal guardian grant SOCKBOX.ca the right to use and publish winner’s name, designs and province of residence online and in print, or any other media, in connection with the Contest. Acceptance of a prize constitutes permission for SOCKBOX.ca and their advertising and promotional agencies to use winners’ names and likenesses for editorials, advertising and promotional purposes without payment of additional compensation unless prohibited by law. Each entrant, or his or her parent or legal guardian, represents and warrants that all designs are entrant’s own work and will not infringe on the rights of any third parties. By entering, each participant, or his or her parent/legal guardian, releases and holds harmless SOCKBOX.ca, Facebook, their respective parents, subsidiaries, affiliates, directors, officers, employees, attorneys, agents and representatives from any and all liability for any injuries, loss, claim, action, demand or damage of any kind arising from or in connection with the Contest or any prize won, any misuse or malfunction of any prize awarded, participation in any Contest related activity, or participation in the Contest. As a condition of participating in this Contest, each participant, or his or her parent/legal guardian, agrees that any and all disputes which cannot be resolved between and the parties, and causes of action arising out of or connected with this Contest shall be resolved individually, without resort to any form of class action, exclusively, before a court of competent jurisdiction located in Calgary, Alberta which court shall apply the laws of the Province of Alberta without regard for rules of conflicts of law. In any such dispute, participant and/or his or her parent or legal guardian shall, under no circumstances, be entitled to claim punitive, incidental, or consequential damages, or any other damages, including attorneys’ fees, other than participant’s actual out-of-pocket expenses (if any) associated with participating in the Contest, and participant hereby waives all rights to have damages multiplied or increased. CAUTION: ANY ATTEMPT BY AN ENTRANT OR ANY OTHER INDIVIDUAL TO DELIBERATELY DAMAGE ANY WEB SITE OR UNDERMINE THE LEGITIMATE OPERATION OF THE CONTEST IS A VIOLATION OF CRIMINAL AND CIVIL LAWS AND SHOULD SUCH AN ATTEMPT BE MADE, SOCKBOX.CA RESERVES THE RIGHT TO SEEK DAMAGES FROM ANY SUCH ENTRANT TO THE FULLEST EXTENT PERMITTED BY LAW. 6. LIMITATIONS OF LIABILITY: SOCKBOX.ca and Facebook are not responsible for any incorrect or inaccurate information, whether caused by web site users or by any of the equipment or programming associated with or utilized in the Contest or by any technical or human error which may occur in the processing of submissions in the Contest, including but not limited to any misprints or typographical errors. SOCKBOX.ca and Facebook assume no responsibility for any error, omission, interruption, deletion, defect, delay in operation or transmission, communications line failure, theft or destruction or unauthorized access to, or alteration of, entries. SOCKBOX.ca and Facebook are not responsible for any problems or technical malfunction of any telephone network or lines, computer on-line-systems, servers or providers, computer equipment, software, failure of e-mail or players on account of technical problems or traffic congestion on the Internet or at any web site or combination thereof, including injury or damage to participant’s or to any other person’s computer related to or resulting from participating or downloading materials in this Contest. If, for any reason, the Contest is not capable of completion as planned, including by reason of infection by computer virus, bugs, tampering, unauthorized intervention, fraud, technical failures or any other causes beyond the control of SOCKBOX.ca which corrupt or affect the administration, security, fairness, integrity or proper conduct of this Contest, SOCKBOX.ca reserves the right at their sole discretion to cancel, terminate, modify or suspend the Contest. IN NO EVENT WILL SOCKBOX.CA, FACEBOOK, THEIR PARENTS, AFFILIATES, SUBSIDIARIES, AND RELATED COMPANIES, ADVERTISING AND PROMOTIONAL AGENCIES, OR DIRECTORS, OFFICERS, EMPLOYEES, ATTORNEYS, AGENTS, AND REPRESENTATIVES, BE RESPONSIBLE OR LIABLE FOR ANY DAMAGES OR LOSSES OF ANY KIND, INCLUDING DIRECT, INDIRECT, INCIDENTAL, CONSEQUENTIAL OR PUNITIVE DAMAGES ARISING OUT OF PARTICIPANT’S ACCESS TO AND USE OF THE INTERNET SITE https://www.sockbox.ca/ OR THE DOWNLOADING FROM AND/OR PRINTING OF MATERIAL FROM SAID SITES. WITHOUT LIMITING THE FOREGOING, EVERYTHING ON THIS SITE IS PROVIDED “AS IS” WITHOUT WARRANTY OF ANY KIND, EITHER EXPRESS OR IMPLIED, INCLUDING, BUT NOT LIMITED TO, THE IMPLIED WARRANTIES OF MERCHANTABILITY, FITNESS FOR A PARTICULAR PURPOSE OR NON-INFRINGEMENT. SOME JURISDICTIONS MAY NOT ALLOW THE LIMITATION OR EXCLUSION OF LIABILITY FOR INCIDENTAL OR CONSEQUENTIAL DAMAGES SO SOME OF THE ABOVE LIMITATIONS OR EXCLUSIONS MAY NOT APPLY TO YOU. CHECK YOUR LOCAL LAWS FOR ANY RESTRICTIONS OR LIMITATIONS REGARDING THESE LIMITATIONS OR EXCLUSIONS. 7. LIST OF WINNERS: For a list of winners, after September 6, 2018 mail a separate, self-addressed stamped envelope to: SOCKBOX.ca Sock Design Contest, 612 – 500 Country Hills Blvd NE, Suite 110, Calgary, Alberta T3K 5K3. 8. This Contest is in no way sponsored, endorsed or administered by, or associated with, Facebook. Any information provided in connection with this Contest is provided to SOCKBOX.ca, and not to Facebook.